Golf irons can often be a pretty expensive investment, and this doesn’t change in the case of mid-handicappers. To make an informed buying decision, you should know what you’re looking for, but for most people, buying a set of golf irons suitable as a mid-handicapper can be a daunting and overwhelming experience, especially if you are buying for the first or second time. I remember when I went looking to buy a good set of irons as a mid-handicapper; I wasn’t exactly sure what I was doing. 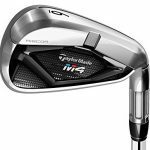 In this article, I’ll give you a few guidelines as to what you should look for in a mid-handicap golf iron set, and also review and compare a few of the best mid-handicap golf irons on the market today. I have personally tested and played with all of the iron models I review below. Some models that I think are the best are actually more than a couple of years old, but that’s okay, because you’ll be able to get such models for much cheaper than a current-year model. The TaylorMade M4 irons are an upgraded version of the M2 irons, and are ideal for mid or high handicappers. The M4’s are one the best irons for game improvement. They are extremely easy to use; with these irons, hitting the ball and getting it up in the air is very easy. As a matter of fact, the real challenge is not being able to do so! I feel that these irons are just great for professionals and amateurs alike. The longer clubs in the set have a cavity back style which leads to more forgiveness. They come with a very lightweight standard-fit shaft which allows for easier swinging. The lightweight stock shaft of the M4 makes swinging easier. In my experience, hitting the target with these clubs is very easy and almost effortless. The long ones are easier to hit, which is a big plus for those who traditionally struggle to get long irons up in the air. It is a set of very balanced irons. The irons are very durable. These irons are designed to improve power and accuracy of the shot, but when it comes to control and precision, there are better options. Some of the irons look little too thick for some peoples’ tastes. The Taylormade M4 is a fantastic iron that does a great modern job at providing distance and forgiveness to whoever wants it. For me, the pros far outweigh the cons, and the M4 is definitely one of my top choices and a part of my permanent collection. Read my full review of the XR irons here. The first XR irons were released a couple of years ago, but at their current price, you can’t go wrong. These irons were originally designed to make the ball travel a longer distance. They are designed specially for mid-handicappers. In terms of design, these irons have a very modern and stylish look and are fit for a serious golfer. As mentioned before, the Callaway XR Irons are designed to produce more distance — this is due to the fact that the manufactures engineered what they call a 360 Face Cup. This Face Cup makes the iron flex more which leads to more rebound and increased ball speeds across the face. The sound that comes off the iron when it makes contact with the ball is very crisp and clean, just as the sound should be from a good iron. One of the best things about the XR irons is that you can choose what you want to include in your set. They are great for mid-handicappers especially. The clubs look and feel very sharp and professional. They do a great job at generating distance from short to long. Golfers with fast swing speeds may not have the best results with the XR irons. 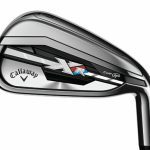 In my view, the Callaway XR irons are great if you have a smooth swing that isn’t too fast. At the same time, they don’t really do much for the player in terms of forgiveness and game improvement. The Cleveland Launcher CBX irons are the ideal game-improvement irons for mid-handicappers. They are very forgiving, and in the top to bottom order I think they would rank as intermediate. With the CBX irons, Cleveland moved the center of gravity closer to the middle of the face in order to improve shot consistency. In terms of design and build quality, these clubs are very high quality and extremely durable. To provide more forgiveness to mid-handicappers, Cleveland took the best of both worlds: the player has more control over the shorter clubs and is able to cover more distance with the longer ones. The CBX irons aim to get the players through any and all turf smoothly and quickly, thereby making it effective to play out of the short grass, rough or sand. This iron is ideal for players who tend to hit shots more towards the toe. The sound at impact is very clean, clear, crisp and satisfying. These irons really help the ball go straight, even if the strike isn’t perfect. The matte finish is very prone to scratches. Not the best irons when it comes to shaping and controlling ball flight. 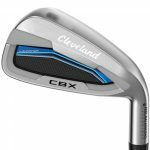 Players with a mid-handicap who are interested in a quality set of irons that launch the ball farther at every point on the face should definitely consider getting the Cleveland Launcher CBX irons. They pack a ton of value for the price. The PING G400 irons are some of the best for mid handicappers. They have an undercut top edge, with mass detached from inside the top edge and transferred lower to improve forgiveness. They have a three-piece elastomer badge (where inspiration was taken from the car industry) that serves to dampen vibrations and give a more pleasing impact sound and amazing feedback to your hands. They also have a Hydropearl finish which reduces friction with the turf, and a refined contour in a tour-inspired shape that isn’t seen very often in a game-improvement iron such as this. The G400 irons also feature PING’s COR-Eye face technology which stiffens up the face to produce faster ball speeds and an optimal trajectory. Effective for players of all different skill levels, including mid-handicappers and everyone else. One of the sharpest-looking irons out there. Unique technologies and features produce great results on the course. Exceptionally forgiving, whether hit fat, thin, towards the heel or towards the toe. Offers as much as one club of extra distance compared to similar irons in its class. Has an excellent launch and is easy to get up in the air even with the longer irons. Wedges are built for excellent feel, control and consistency. One of the most reliable, durable and performance-oriented irons on the market. Not quite as workable as low-handicappers and professionals might want. Does not have mega game-improvement capabilities that total hacks might want out of an iron, although in some cases it can be good for them in the long run. 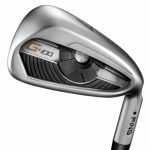 The G400 irons are great for mid handicappers looking a hot launch, hot ball speeds, great forgiveness and a clean, sharp look without straying too far into the super game-improvement zone. 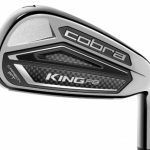 The Cobra KING F8 irons are another great option for mid-handicappers who want solid forgiveness and a club that just hits it straight. The KING F8 iron has an E9 elliptical “Sweet Zone” structure that promotes faster ball speeds through an unbelievably thin face. The carbon fiber medallion construction dampens vibrations and greatly enhances sound and feel through the swing. It is optimized to deliver tailored performance through the set. The KING F8 iron is super-playable, forgiving and possesses wide soles for better grooving, in turn producing beautiful shots. It has a full hollow sign to deliver low CG with an exceptionally responsive face; this makes it very easy to hit high-flying, long shots. This exceptional iron features progressive hosel length, strategically positioning the center of gravity (CG) for optimal launch throughout the set. Exceptional distance and wide coverage from shot to shot. Provides a very explosive feel and very consistent distances. ONE Length can be used to hit every iron in the set with consistency. Uses Progressive Set Technology to help with hitting your long irons up into the air, and with controlling your short irons and wedges with precision. The COBRA CONNECT system is integrated into the KING F8 irons so that you can keep track of a slew of performance variables. An awesome look that will appeal to many players. Lacks the shelf appeal of previous Cobra irons and might not be as appealing to some golfers in terms of feel and appearance. ONE Length irons may not be for everyone, particularly those who are very used to progressive lengths. It might take some time to adjust to the ONE Length irons. Irrespective of its few disappointments, the Cobra KING F8 iron remains one of the best iron offerings from Cobra and one of the best iron offerings on the entire market. It’s a truly great choice for mid-handicappers. Irons normally come in two different styles: cavity back or muscle back. 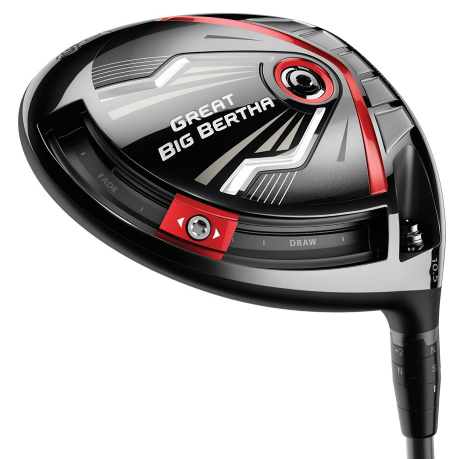 The cavity back features a hollow construction on the back of the head that is ideal for amateur golfers since it offers a lot of forgiveness both in terms of accuracy and distance. The muscle back, which is forged, gives the golfer better feel and better control to shape shots. Hence, it is preferred by professionals who have the skill and experience to control their ball. A mid-handicapper might want irons that have game-improvement features (like good forgiveness and distance) but also offer the playability and feel that professionals go for. The clubhead is one of the most important things to consider when looking for a golf iron set. Clubs come is a wide variety of designs. Professionals prefer a smaller-sized club head because it gives them more control over the golf ball. Medium sized clubs are great for people who aren’t total hacks but are looking to improve their game, such as mid-handicappers. Larger sized club heads are very forgiving and come the closest to guaranteeing that you hit a solid shot, making them ideal for amateurs and newbies. The shaft of the club determines things like durability and how it actually performs, and this is often very specific to the individual. When you are looking for a good iron set for your needs, pay attention the shaft. 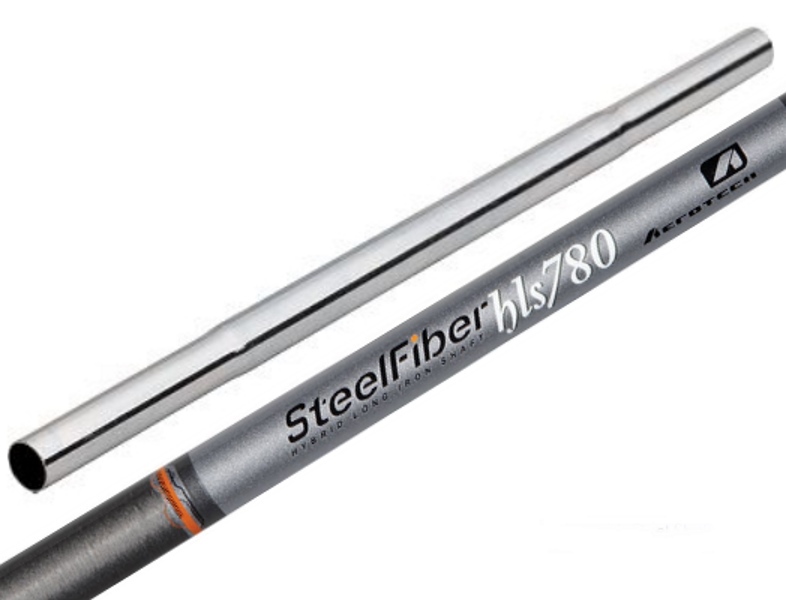 Shafts are made out of two types of materials: graphite or steel. For new or inexperienced golfers, graphite might be a good choice because it’s lighter and will allow those with slower swing speeds to generate more speed through the ball. At the same time, steel can be preferable because it is generally heavier and is less liable to move all over the place during the swing, which would result in a poor strike. If you are an experienced golfer, you can go for graphite because it is lighter and it gives you better control over swing. These days though, there is not a clear cut answer as to whether amateurs would benefit more from steel or graphite shafts. Professionals use both. When shopping for golf iron sets, a lot of people dismiss or forget about their handicap and end up buying the wrong set of golfing clubs for their swing and skill level. Make sure that whatever you buy can work with both of these aforementioned factors so that you don’t mess up your game. A set of reliable, quality irons can be a huge boon to a golfer’s toolkit. Finding a model that does the job you want it to do as a mid-handicapper is certainly possible with some research. Each of the iron models reviewed above deliver exceptional performance. I’ve given you the information you need to make a decision; now it’s up to you to go the rest of the way. There are many things to look out for. Some irons provide better forgiveness and more distance, while others sacrifice some of this in order to provide better control and feel. While no iron will tick every box, many do well to satisfy the majority of them. I highly recommend reading consumer and professional reviews on Amazon, eBay and other sites to acquire some useful insights as to how the irons actually perform. This will help you greatly in your decision-making process. Thanks for reading this guide. 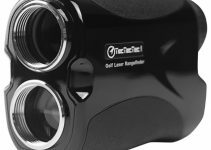 Feel free to share, leave a comment below, or check out our guide for the best golf rangefinders here. Hi Kevin. The Rogue iron can also be another very good option for mid-handicappers, but it didn’t make the list here because I found that its overall rating was a little disappointing. Even so, you never know until you try, and you can find great prices for that model here. As for the XRs, I’m aware that they’re a few years old, but I felt they deserved to make the list because of their performance. Many older irons are still top choices today for golfers. If you can find them, you can probably get an extremely good price for them. 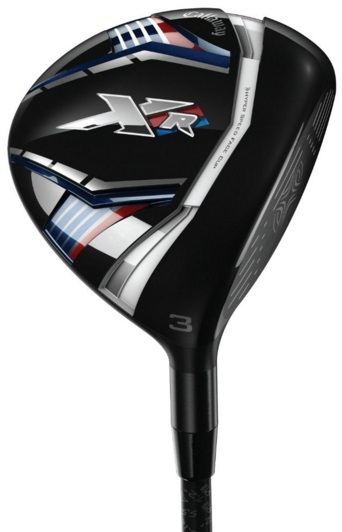 Otherwise, Callaway has newer XR models that are also very good. Thanks for the comment!